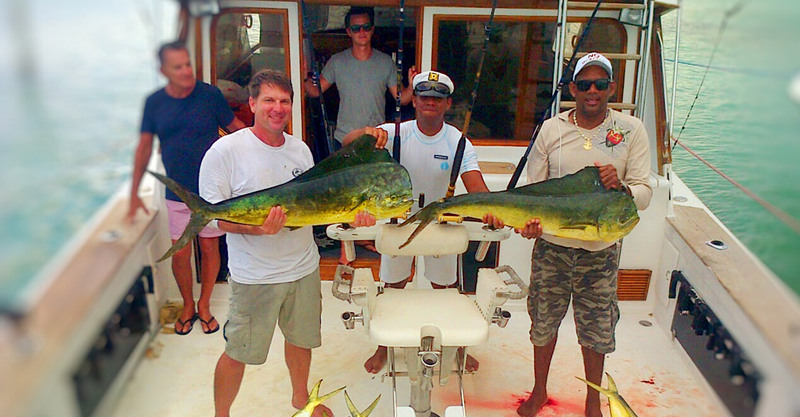 Deep Sea FISHING CHARTER | Santo Domingo| Juan Dolio. 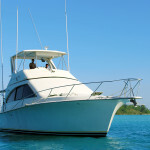 Boat for Rent in the Dominican Republic. 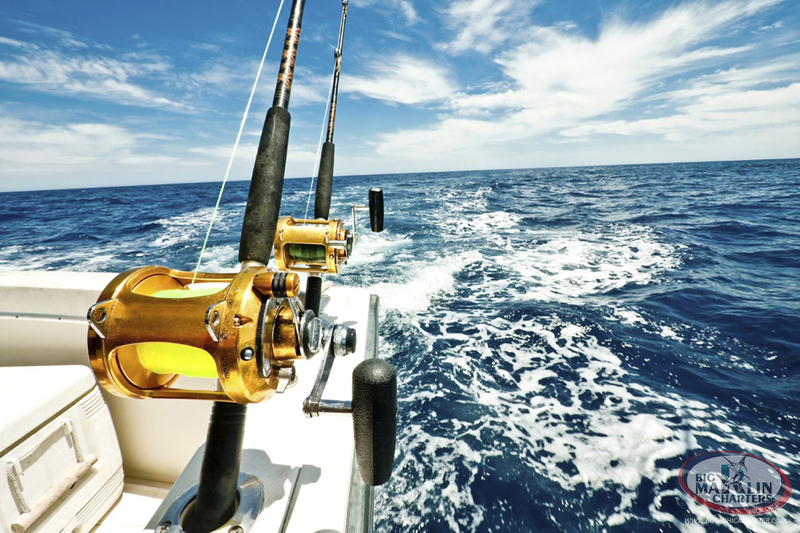 It doesn’t matter if this is your first Deep Sea Fishing experience or you are an old salt, Boca Chica charters is the most fun you can have on the Ocean! We are located in the south of the Dominican Republic very close to the capital Santo Domingo (just 20 minutes) Just 10 minutes from tourist area — Juan Dolio. We have own van and take you from your location in any moment. Your vacation in Punta Cana? 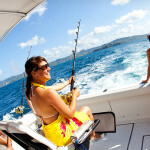 Visit our web site www.bigmarlinpuntacana.com Private Yacht for Private Fishing Charters in Punta Cana, Dominican Republic. Vacation is a very special time. You won’t have that many & you want everything to be perfect, full of fond memories that will last a lifetime. Where you choose to go & what you choose to do is key to having a great vacation & great memories that you will never forget, for you, your friends, and your family! You want the best service, the most fun & excitement, with the least amount of trouble. 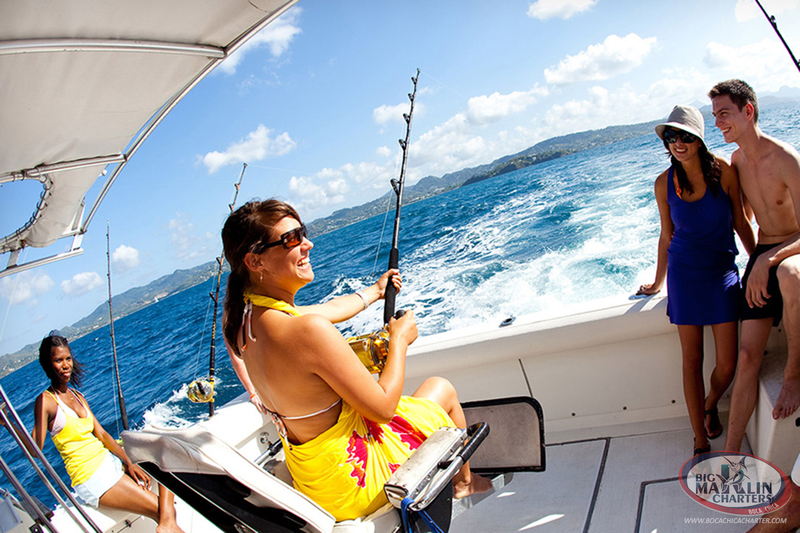 At Boca Chica Charter we can guarantee this. Because we work hard & are very professional, but mostly because we love what we do. Who wouldn’t! We live & work in paradise & our clients are always having the most enjoyable exciting time of their lives.Because we work hard & are very professional, but mostly because we love what we do. Who wouldn’t! 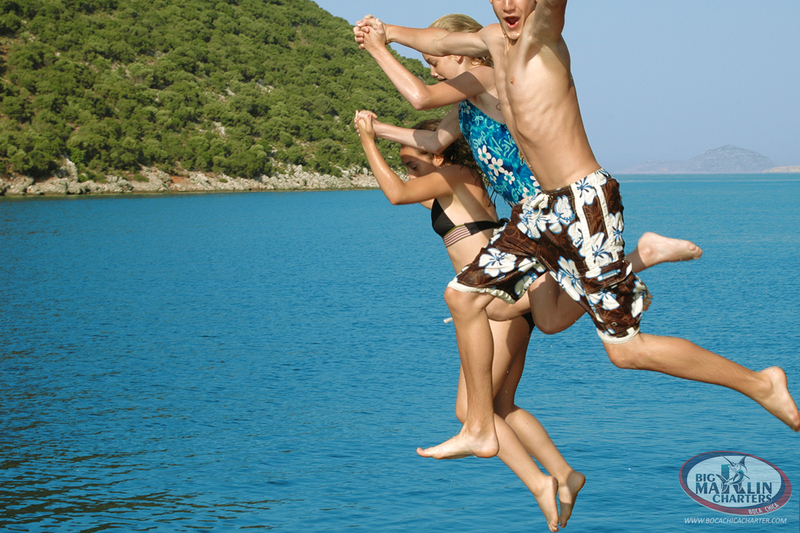 We live & work in paradise & our clients are always having the most enjoyable exciting time of their lives. We have the greatest job on earth & we want to share it with you! 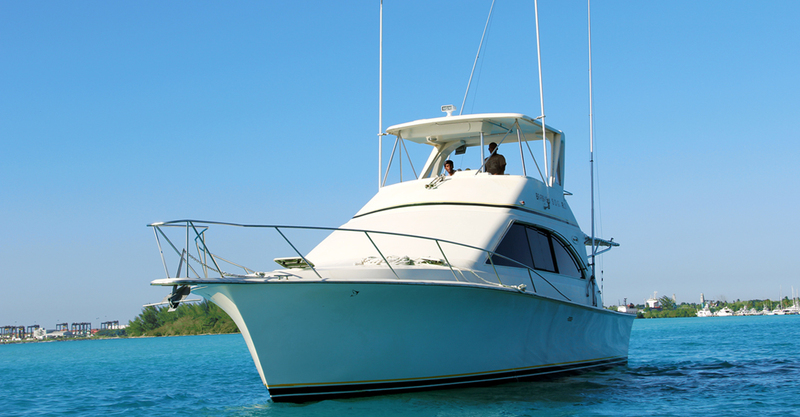 Our modern yacht is located in the beautiful pictures out tourist area of Boca Chica in the marina Makey, near Hotel Don Juan. It is really easy to find and access. We have transfer from Jaun Dolio or Santo Domingo. 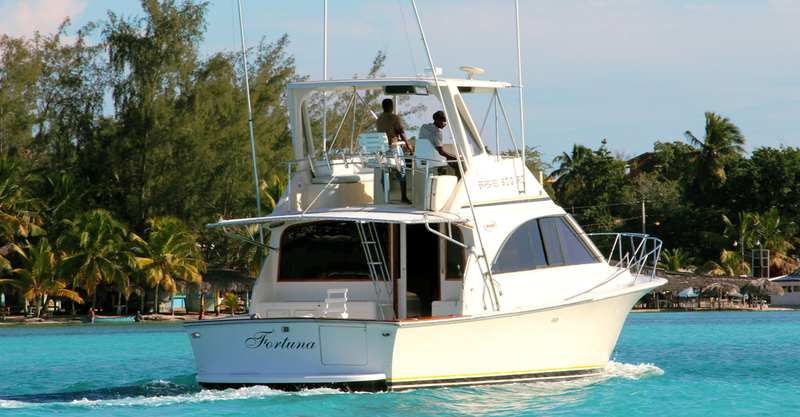 The Fortuna is a beautiful 42 foot yacht. 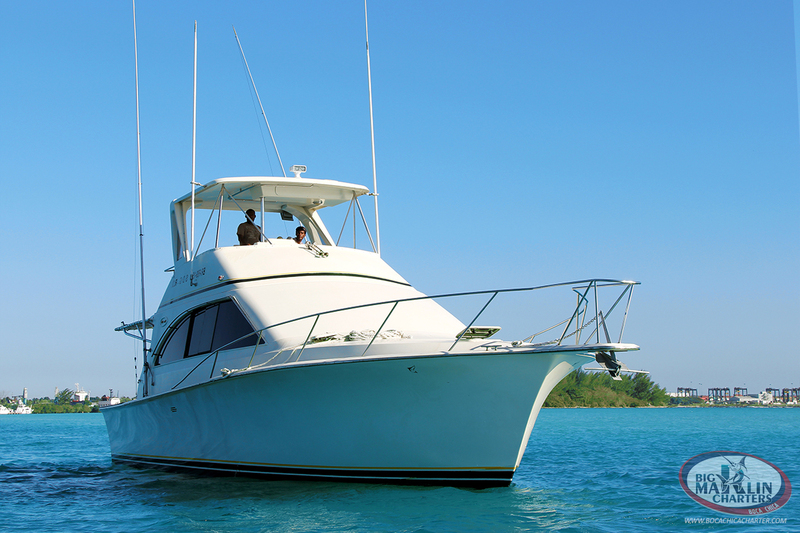 It is very modern and stylish, equipped with all the newest navigation, communication, and security equipment. Lovingly maintained & serviced for your comfort, enjoyment, & peace of mind. Our Captain knows the local waters very well. 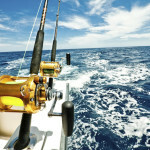 This is really important for sucessfull offshore fishing. 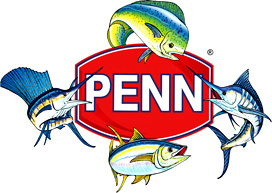 You can count on him to contribute his years of experince to make certain that your time with us will be the most exciting & successful deep sea fishing experience you will ever have. We will provide individual service catered to your needs & wants. We will take care of all the small details, from picking you up at the airport or hotel, to making sure you have the perfect amount of the most delicious food & drink. We will make sure you have nothing to worry about. You can just relax & enjoy your vacation. We can offer you the best customs and unique excursions. Private Parties, Birthday Parties, Children’s Parties, Wedding Parties, or Bachelor Parties! Company Events or Social Events! Promotion, Celebrations, Anniversaries, or Reunions. You just tell us what you want & we will get it done & get it done right. Come with us to enjoy relaxing trips to the beautiful nearby islands, see the crystal clear turquise waters of the Caribbean, or simply bask in the unmatched tranquil ambience and mood of being on the sea! Then again if tranquil is not exactly what you are looking for, don’t worry parties may be are greatest strength & our strongest suit. After all you are in the Caribbean! You can have the greatest party onboard! We have great music & a great sound system! We make great drinks & serve great food! And all at a great price! You will have great fun! What else can I say about our parties except: They are great! We guarantee our professional attitude & do everything we can to make certain that you are completely satisfied with our service. We truly love and enjoy our work! This is why we know that you will have a tremendous time with us, a time that you will always remember as the highlight of your vacation in the Caribbean! This is how we know that we are the best charter yacht rental company in the Dominican Republic! * If you are a Tour Operator or Travel Agency please contact us directly for our mutual benefit. Republica Dominicana, Santo Domingo Boca Chica, Hotel "Don Juan" Marina "Makey" the boat "Fortuna"